Did You Spot Us On TV? Yes on March 26th we were on the BBC’s Inside the factory! Well I mean we weren’t on there but our fully washable KleenCap products certainly were. 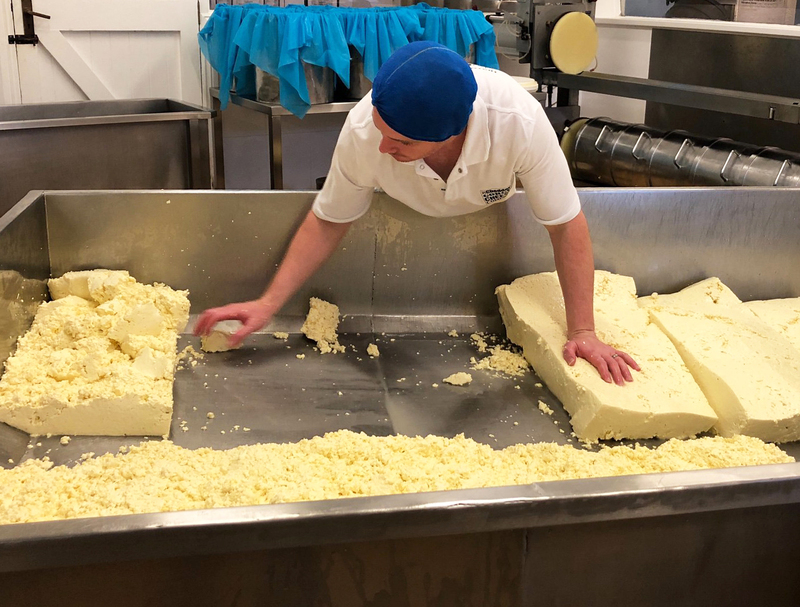 The episode was all about cheese and an exciting company we supply, Cheddar Gorge Cheese were featured on the program. They take a lot of pride in their hygiene processes and have adopted our KleenCap products. Top historian Ruth Goodman was seen in one as well as numerous members of staff. In the past we have great feedback from Cheddar Gorge about our KleenCap products. Did you know that they are certified by HACCP International and perform 4x better than a traditional mob cap. We are very proud of this patented product as it really helps businesses reduce their impact on the environment as it can be reused up to 15 times when washed with our specially designed hair dissolving formula HairGon. As well as improving environmental impact it also significantly reduces the cost in use of the product. Available in a range of colours with different colour stripes to signify different production areas the product is extremely comfortable as it contains our StayCool technology to help keep the wearer cool. KleenCap really is the ultimate defence against contamination and we think it looks great on the television! For more information on our KleenCap or any other products just get in touch!